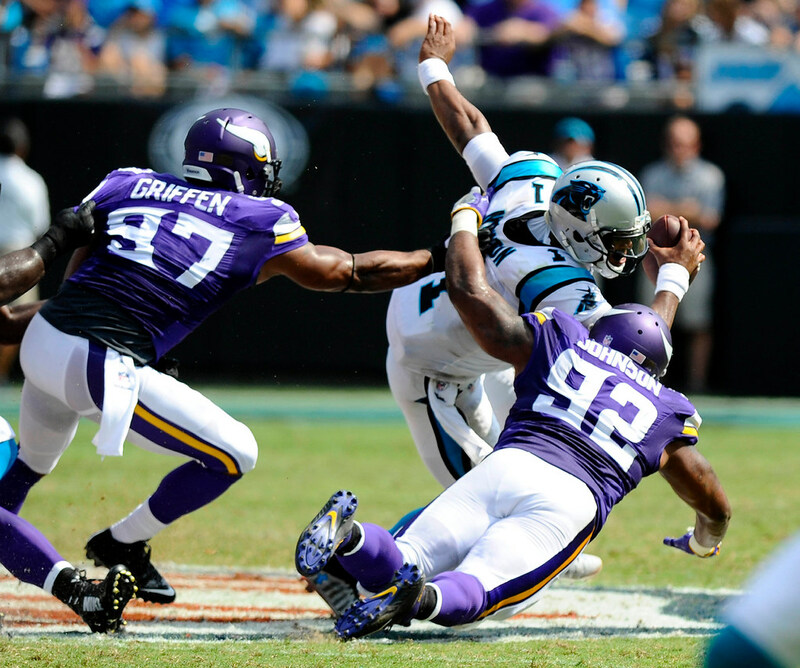 The Vikings have had few issues with containing Cam Newton and the Panthers in two games under Mike Zimmer. What’s the game plan to keep Cam in check? Is Mac Alexander playing well? A: Zimmer recently said Alexander, the second-round pick in his second NFL season, is still learning the position. There were some plays in Atlanta that showed room for improvement. What stands out are his coverage skills and reaction time, evident when he read the Julio Jones screen and lowered his shoulders for what should’ve been a minimal-to-no gain. Instead, Alexander projected himself like a missile and bounced off Jones who ran for an 11-yard gain. Alexander showed off those coverage skills on another screen, deflecting Matt Ryan’s final pass of the game. He’s playing about 35 percent of snaps as the nickel cornerback in passing situations. Veteran Terence Newman has still been relied upon as the starting slot corner, manning most early downs or short-yardage third downs. Should we fear that Captain Munnerlyn will reveal our defensive strategies to the Panthers? He was with us last year.